Costco sheet cakes are delicious, inexpensive, and easy to order! 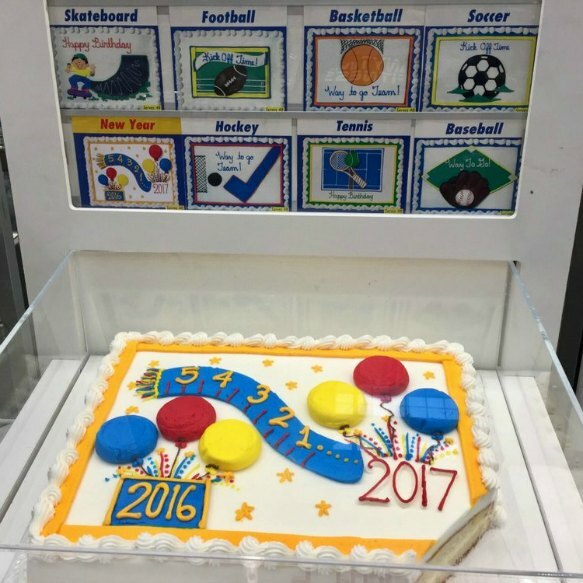 Use this guide to browse designs and pick your favorite from birthday cakes to holiday cakes and even cakes for sports parties. I know this sounds weird coming from us but we get all of our cakes at Costco. Yes, we occasionally eat cake! 😉 They are SO GOOD plus you can’t beat the price of $18.99 for a cake that feeds 48! However, I had a hard time getting the information I needed to order the cake without having to drive to the store. I decided to post the information here so that if any of you are looking for this you have it. See the form below, all you have to do is fill it out, call your local store and get their fax number to send in the form. Trying to throw a party on a budget? Each location will be different. I suggest finding the phone number for your local store to double check their process. For our local store, you can fax in orders or drop them off at the bakery. How many does the cake feed? 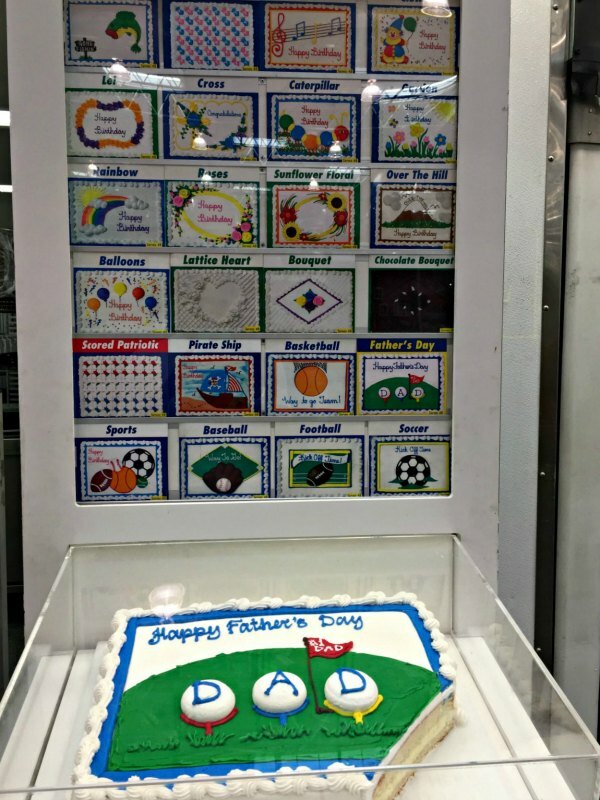 Costco advertises that their half sheet cake feeds 48 people. If you are looking for more sizing options try Sam’s Club. They offer many different sizes and also cupcakes and cookie cakes. 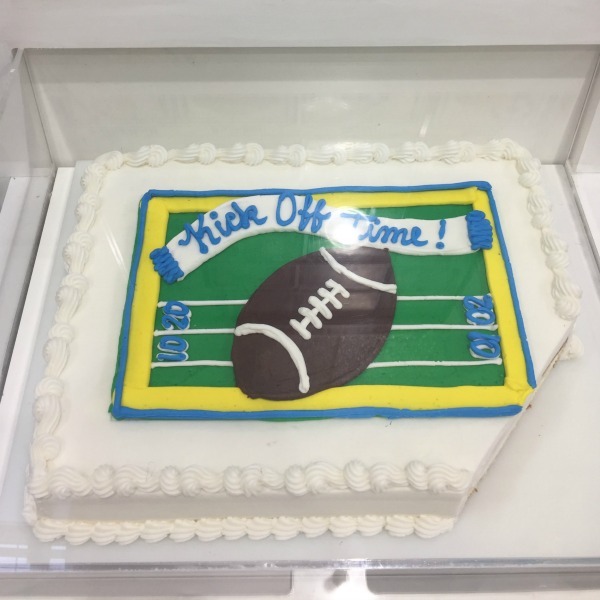 Learn more about Sam’s Club cakes here. Not that I’m aware of. You could use their pies or cookies instead! What are my icing and filling options? Can they do a custom design? 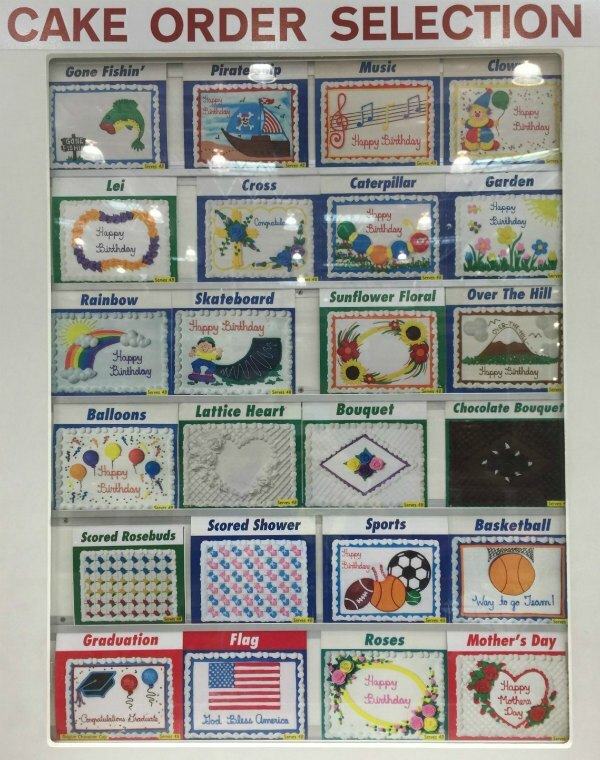 I do not think that Costco will do custom designs. 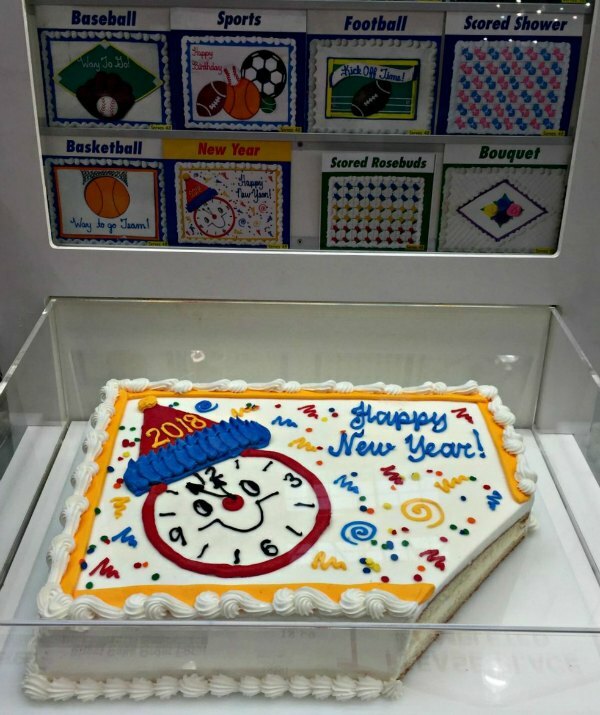 However, you can order a plain cake and add your own designs. How long in advance do you have to order? 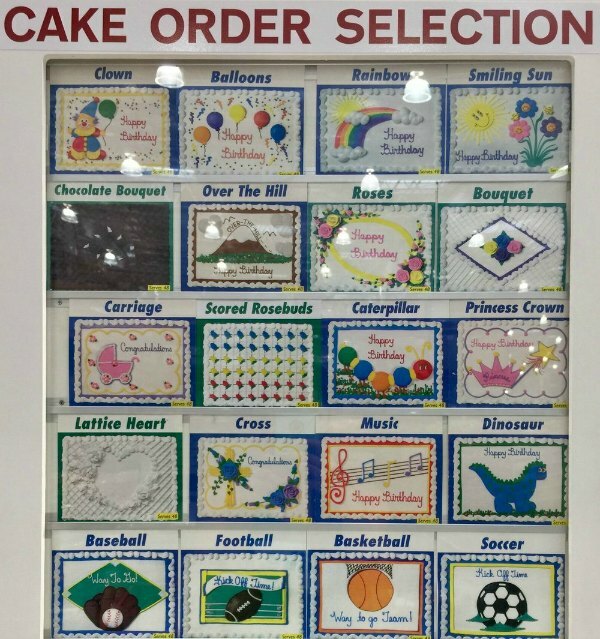 They suggest at least 24 hours but they do have cakes available (not personalized) for purchase all the time at our local Costco near the bakery. HUGE UPDATE! We made a video for you! 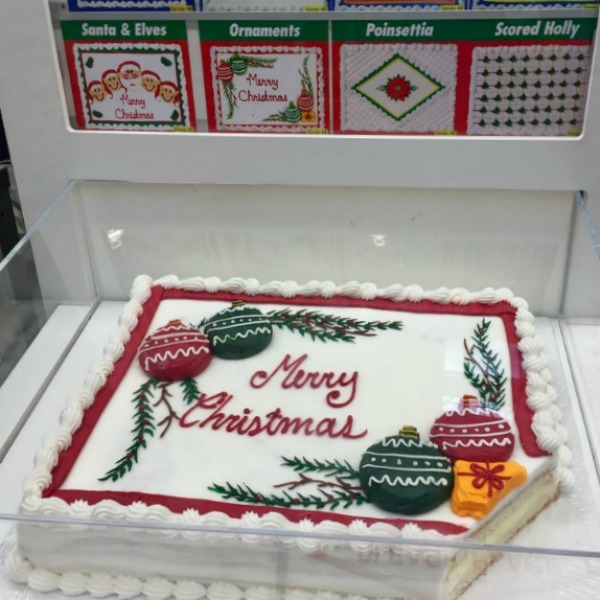 This is what the cake design stand looks like currently (December 2018) at our local Costco. 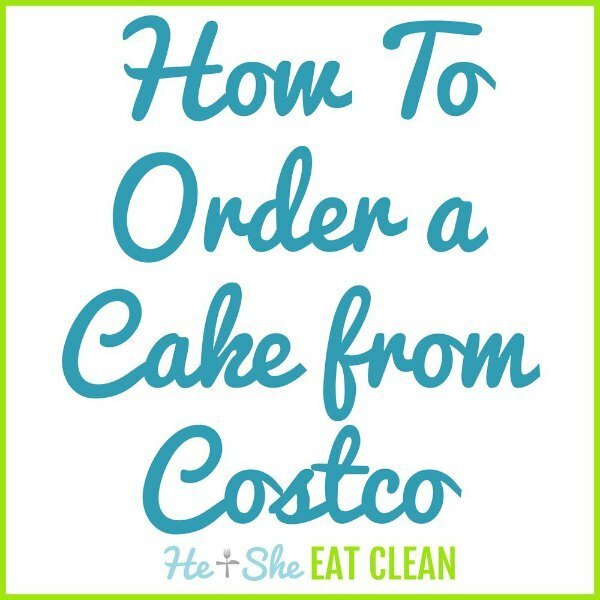 We also share how Costco has pre-made cakes for you to choose from! Watch below. I’ve also included a picture of the designs available at our local (Buford, GA) Costco. 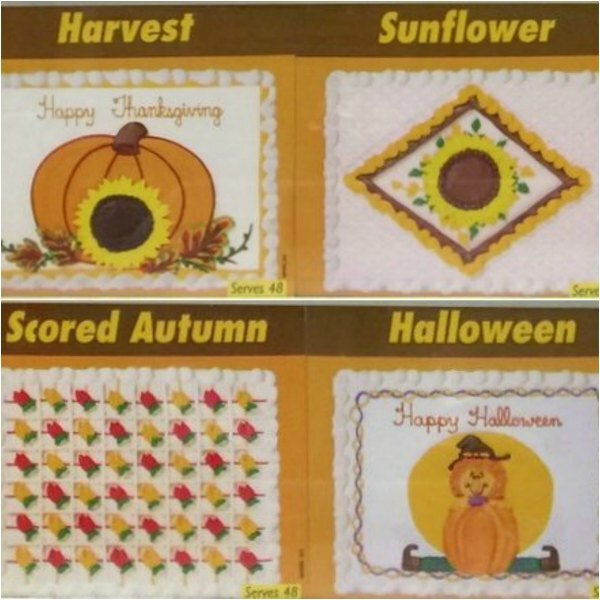 Below are the seasonal designs available at our particular location. I will update these as the season changes. Yes, below was the display our Costco had after Valentine’s Day. I guess they are getting ready for Memorial Day early! I did notice they had some new designs up top so I wanted to share. This is so very helpful!!! 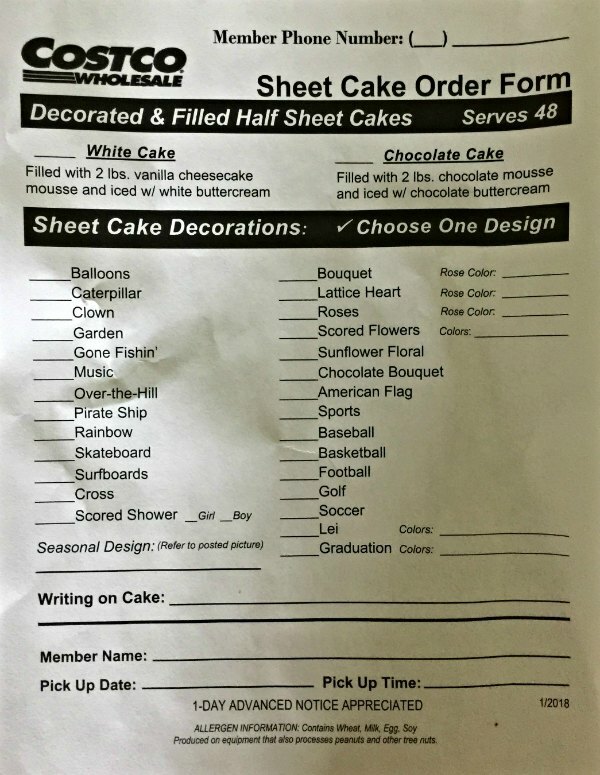 Thank you so much for adding the cake options and the sheet to fax to Costco. This saves me a lot of time and now I don’t have to stop by the store. I’m so glad it was helpful Alyssa! Do they do licensed cakes at all? Peppa, Frozen, etc? Costco does not but Sam’s does! I just ordered a two-tier cake from Sam’s for my sister’s bridal shower and it was fantastic. 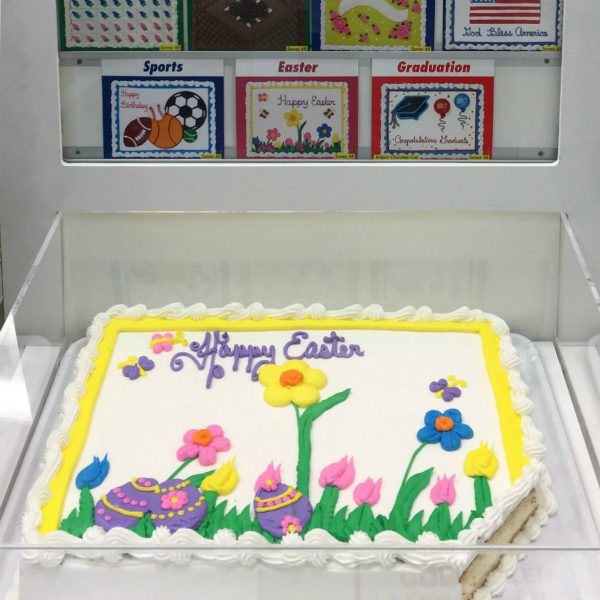 You can search for how to order a cake from Sam’s Club on our site. 🙂 I hope this helps! Do you think Sams Club cakes are as good as Costco? They don’t do licensed characters, but their awesome decorators will often work with your theme. They can match a colored background, trim and writing, or a background scene so that you can just place your own figures on top. Yes! I think this is the best route for those wanting licensed characters. Thank for sharing Addie! If I buy the edible image, will they place it on the cake? Honestly, I’m not sure. I would try calling your local store since they are probably all different. Do you know if they do cupcakes? Costco does not but Sam’s does! Scott & Whitney y’all are too awesome!! This helps me so much as I need to order a cake in a Kentucky for my 2 son’s graduation from UKY and I live in SC……now I can see what I need to order!! I’m so glad to hear this Sue! Happy it was helpful for you! This is very helpful! Thank you! 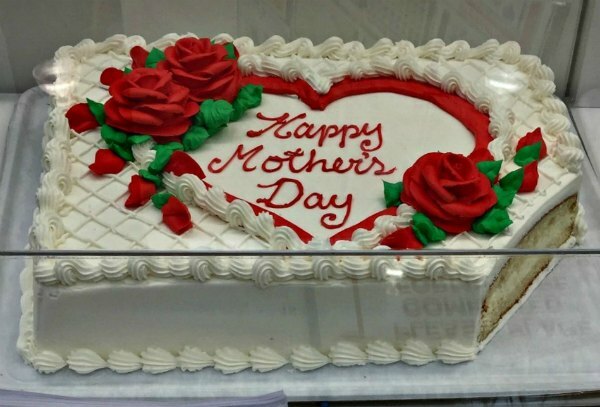 By the way, do you have to order one day advance for the cakes? I believe they ask for 24-48 hours but our local store also has premade cakes available. Hello do you know what size the cake is? 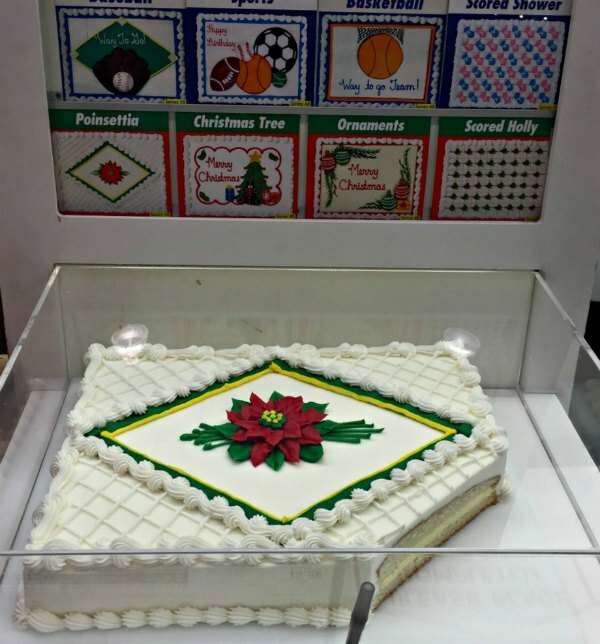 Costco advertises that it is a half sheet cake that feeds 48 people. Do they do a picture of you bring one in? My father will be 99 and I would like to have his picture on the cake. Thank you! Isn’t it weird this info isn’t on the Costco website? Your info is much appreciated! I want a ASU 2018 graguate army cake camo with ASU colors. Congrats Francisco. Can you make this cake for me? A white cake. Thank you. Hi Raul! 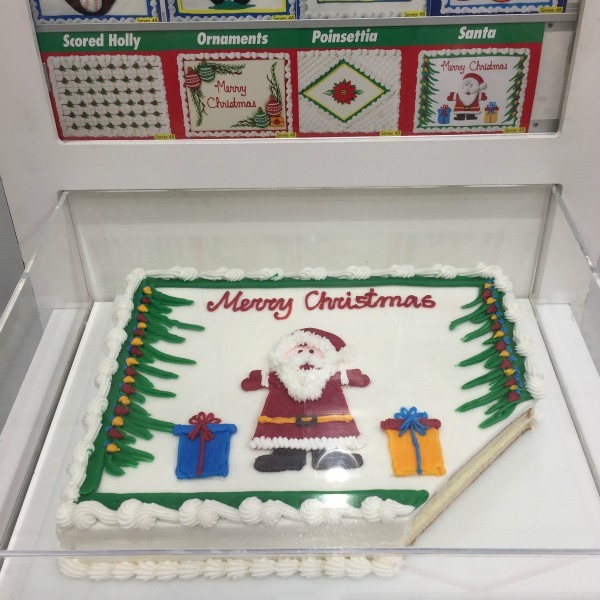 I do not think that Costco does special designs but you can order a plain one and put your own decorations on it. I know a lot of people who have done that! I don’t know if all Costcos will but my costco will let you mix things up a little. So if you want a white cake with chocolate filling. Just cross out vanilla mousse and write substitute chocolate mousse please. I really miss the old (like 10 years ago) options of different fillings but I guess to keep cost down they had to go away. I need a cake with the Marine logo for a going away party. Can Costco accommodate me? I do not think that they will do special orders but you could always get a plain cake and add your own logo or items to it! Semper Fi! Thank so you so much for posting this. I was literally about rush to Costco before a meeting to plan a retirement party for a friend, because I wasn’t going to be able to tell everyone how much we had to budget for a cake! And added bonus, I found your blog! I love it. Thank you so much!!! The vanilla cheesecake filling is awesome!!!! I submitted my form at the store in their order box. I called to confirm that they received it and the guy said they don’t confirm orders. “It will be ready” was all he could say. Anyone else find this odd? 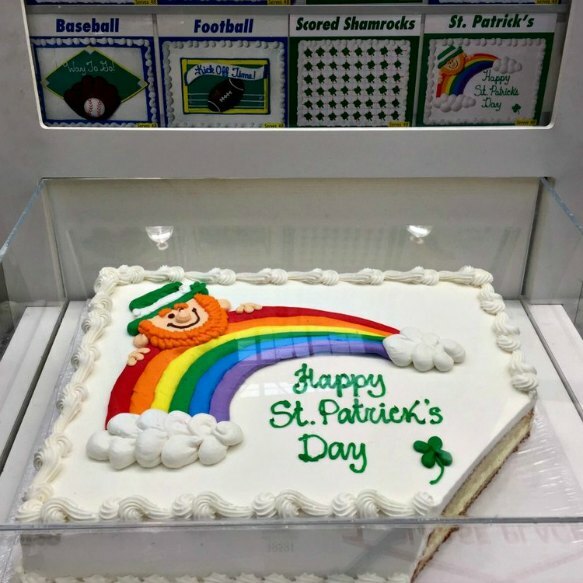 It’s my fist time ordering a cake from Costco. Have you picked up the cake? How did it turn out? This was very helpful until I called Costco. They said they do not except orders by phone or fax. Thanks anyway. That’s a bummer! Ours accepts fax orders. Do you know if they will precut their cakes- day of event? Hi Patty! That’s a great question. I’m not sure about the cakes but I know some of the pies come with pre-scored lines (I hope that’s the right word!). 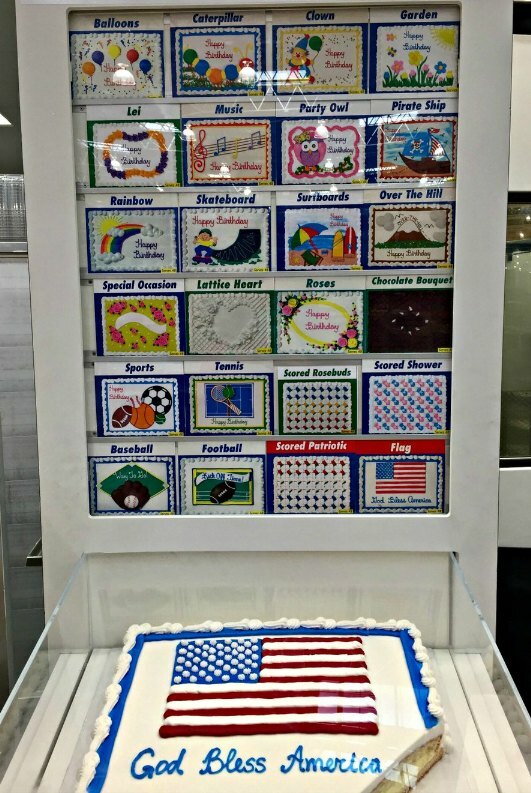 Let me know if your local Costco does this with cakes, I’m sure someone else has the same question! I love a cake from costco because the cake is very nice and soft, the filling is the best not to sweet as like merchant cake. Cake from costco is the best and cheaper. Thank you for posting! Very helpful! Do they have fruit cheese cakes on hand art most stores? Hi Nona, My local Costco always has cheesecakes for sale but I would call your local location just to be sure! Thanks for saving me so much time!!! 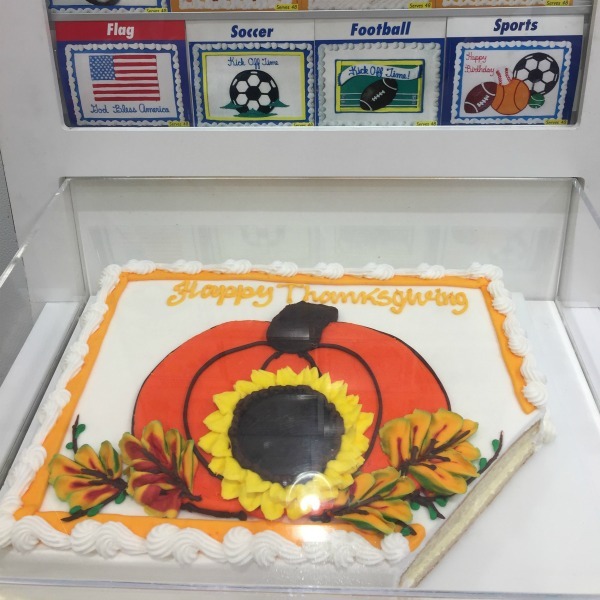 Does Costco sell whole sheetcaked without the filling? Hi Wendy! Ours does not but you could check with your local store as they may have more options! Good luck! Hi, could you please update your post with the Fall and/or Holiday 2018 cake design options? This post is so helpful!!! Thank you for doing this for everyone. You are terrific. Thank you. Video has been taken down. It is still working for me. Where do you see that it has been taken down? On the post or YouTube? 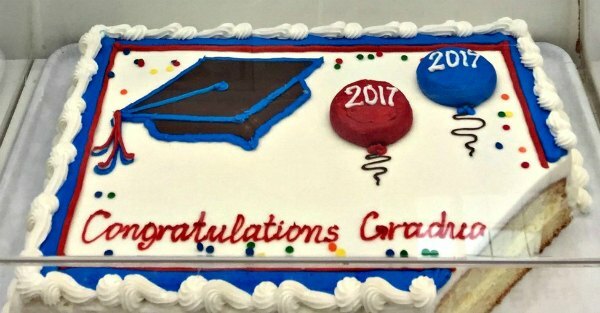 Where can I get the order form to order a cake at Costco? Hi JB, Yes you can get it at the store near the bakery or you should be able to save it from this post and print it out at home if you would like. Are the cakes guaranteed nut free and if not do you know if they have any desserts that are but free?